If you are a fan of battery-free toys, the Chuggington Chugger Championship Rev'n Race Deluxe Playset could very well be one of the coolest "kid-powered" toys of the year. 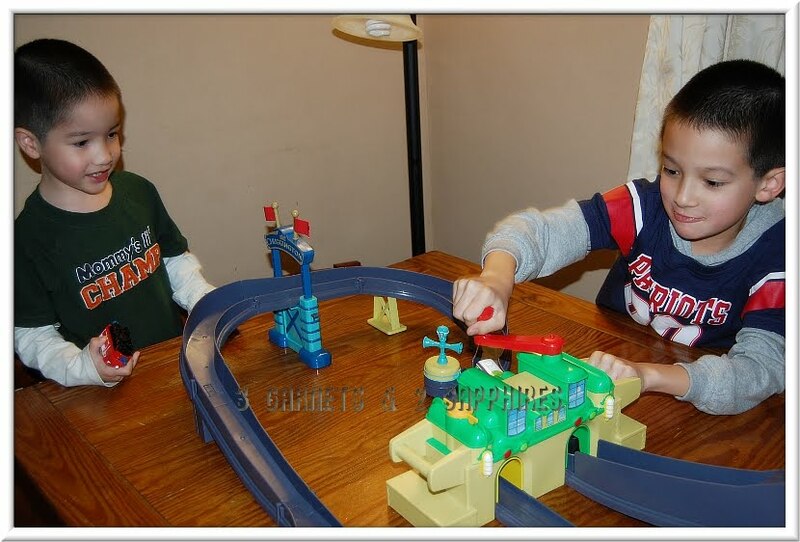 This set, which is part of the Chuggington Die-cast line, has a hand-cranked launcher that is powerful enough to make Koko travel all the way around the track. There is also a friction-based starting line. Any Chuggington fan would be thrilled to find this 4-foot long track set up under the tree on Christmas morning. 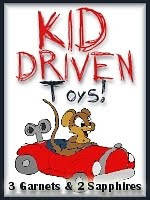 And, as the gift-giver, you will be happy that you did not have the extra expense of buying batteries for this toy. 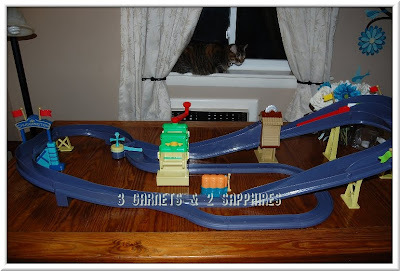 You may also be happy to know that this track works with other Chuggington die-cast engines. 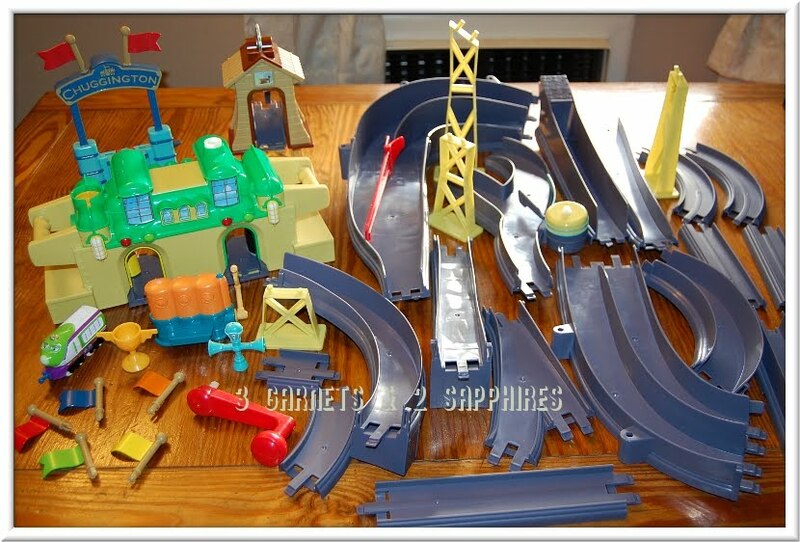 As you can see, there are many parts to this train set, so you will not want to wait until the last minute to assemble it. 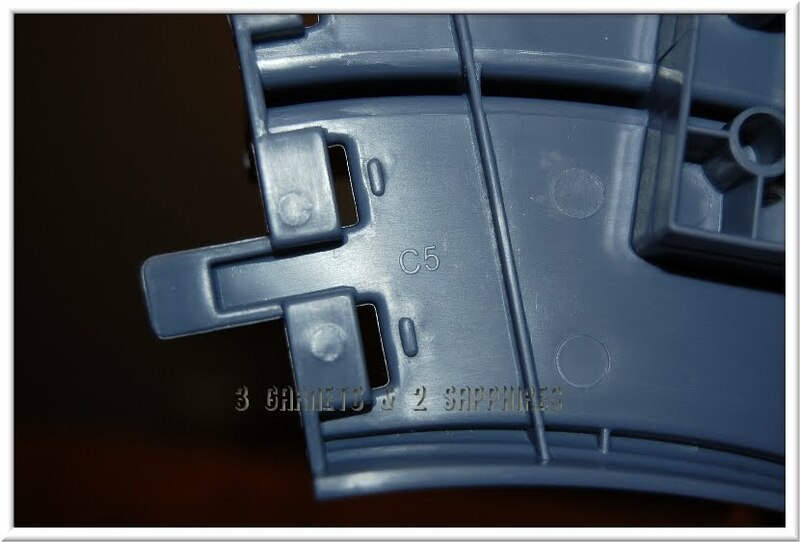 Overall the assembly was easy because most of the track pieces are marked with an alpha-numeric code. 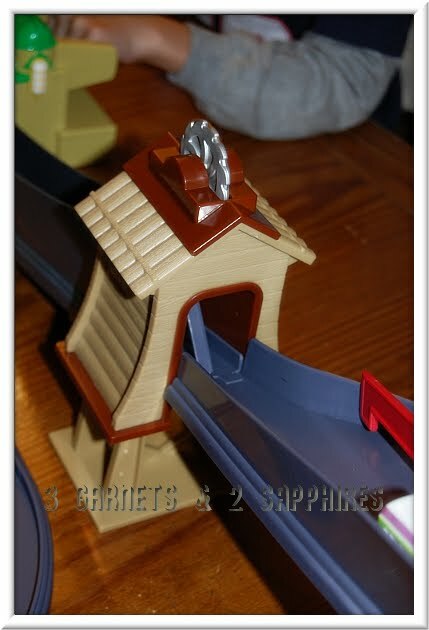 All you need to do is follow the illustrated instructions and look for two pieces that have the same code. There were, however, 3 places where the connections were different than the rest. I had a lot of difficulty with those places. My husband also had difficulty, but was ultimately able to force the pieces together. 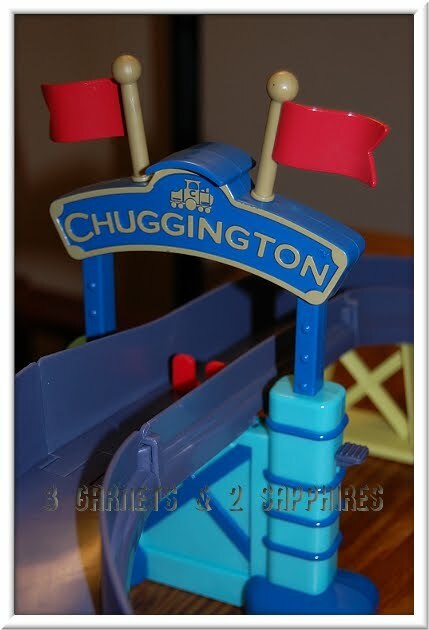 1) Push the Chuggington sign down until it clicks into place and the red stopper pops up in the track. 2) Put Koko at the starting line and into the red stopper's notch. 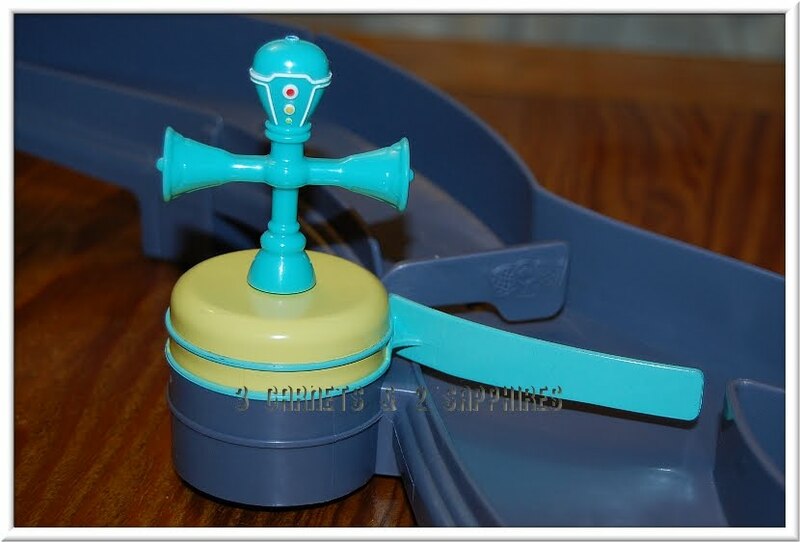 3) Make sure Vee is turned so that Koko will travel towards the launch tunnel with the crank on top. 4) Push the lever down to start the friction-based timer for the starting line. Then immediately start cranking the launcher while holding onto one of the yellow handles. 6) As Koko crosses the start/finish line, you can either have her go through the launcher again for another lap or you can turn Vee so that Koko goes towards the fueling pump to claim her trophy. 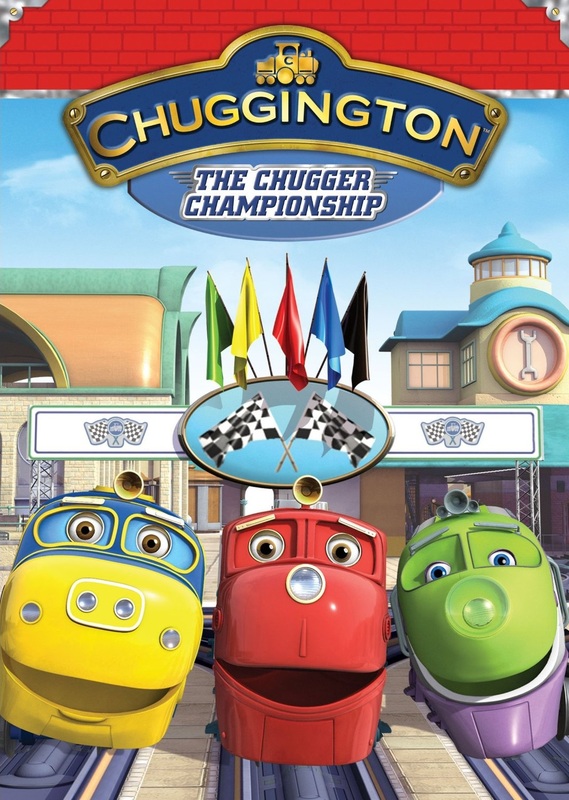 A great little gift to use as an add-on or a stocking stuffer for your little Chugger is the Chuggington: The Chugger Championship DVD. This DVD contains 6 Chuggington episodes, including The Chugger Championship. Like with all Chuggington episodes, these teach your children about friendship and responsibility. 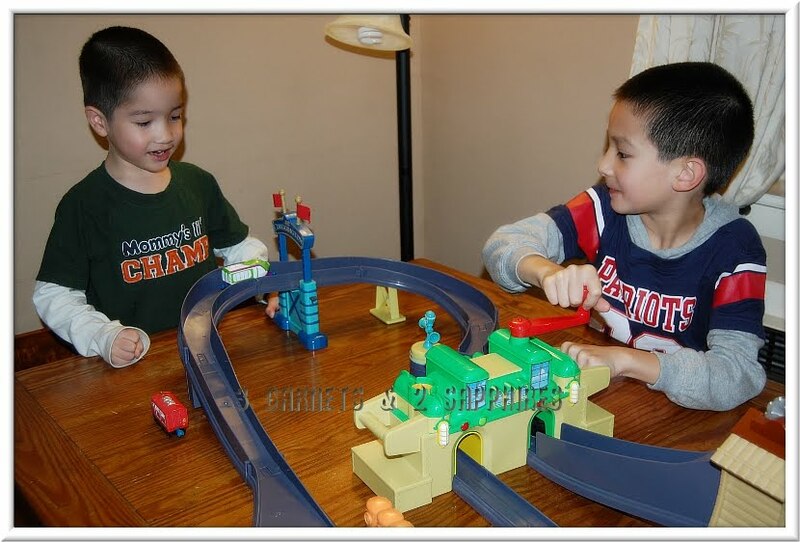 You can purchase both the playset and the DVD at the Official Online Chuggington Store, Toys"R"Us, and on Amazon.com. 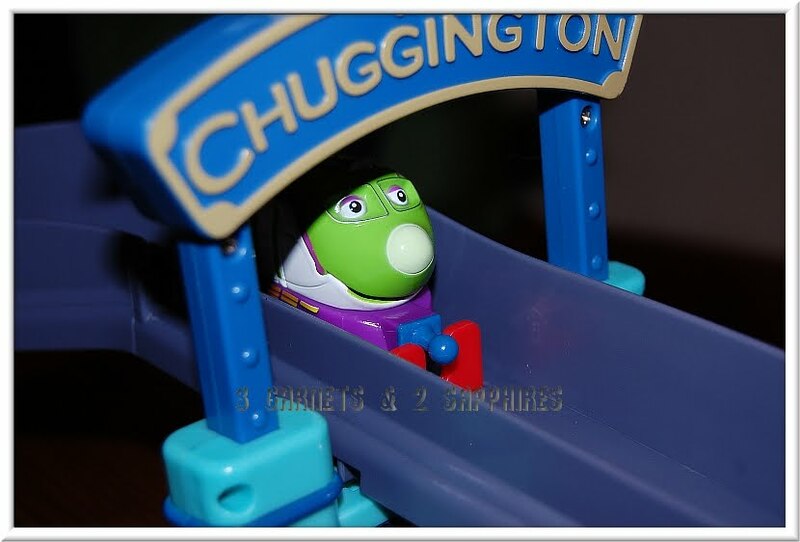 To learn more about Chuggington, visit Chuggington.com, Chuggington on Facebook, and Chuggington on Twitter. Thank you to Chuggington for providing complimentary product samples for us to base this review upon and for providing additional products for our contest prize. 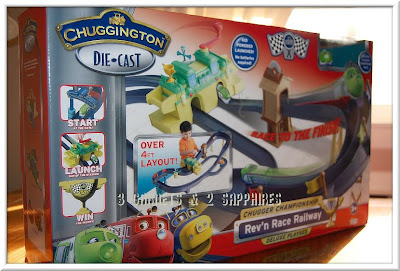 One lucky reader will receive a Chugger Championship Rev'n Race Railway Deluxe Playset (ARV $49.99) plus "The Chugger Championship" DVD (ARV $16.98). Browse the selection of die-cast engines and playsets offered by Chuggington. Then leave a comment telling me the name of another die-cast Chuggington toy you would love to gift to your child. You MUST do this to be eligible to win this contest. 2) For 3 extra entries, follow me on StumbleUpon. Then come back here and leave THREE separate comments with the link to your StumbleUpon profile. 3) For 1 extra entry, "Like" the 3 Garnets & 2 Sapphires Facebook page, then leave a separate comment here with the link to your Facebook profile. 4) For 1 extra entry each, follow Chuggington on Twitter and/or "Like" Chuggington on Facebook. Then leave a separate comment for each with the link to your Twitter or Facebook profile. 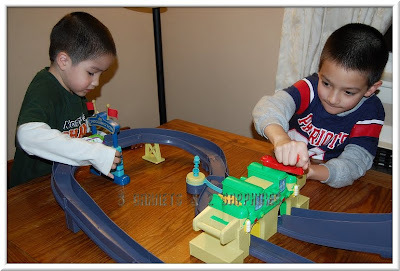 6) Tweet about this giveaway linking back to this post AND using the hashtag #Chuggington. Then come back here and leave the link to your tweet in a separate comment. You may do this once per day until the end of the contest. This contest will be closed on Monday, November 28th, 2011 at 10:00pm EST. A random number drawing will be held shortly after. The winner will be announced here and will be contact via email or through their blog. If the winner does not respond within 48 hours, a new number will be drawn.